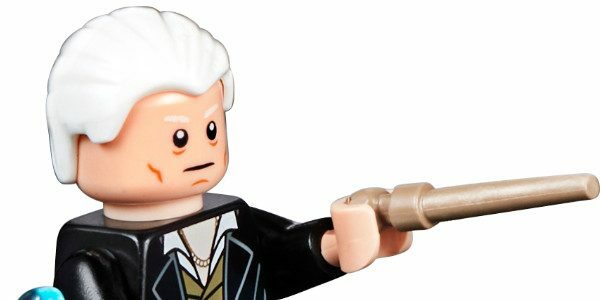 Following the premiere of the Fantastic Beasts: The Crimes of Grindelwald trailer this morning, The LEGO Group revealed a first look of one of the construction set inspired by the upcoming film – Grindelwald´s Escape. Available August 1st, the set is retailing for $19.99 and has 132 pieces. Fans can recreate iconic scenes from the upcoming Fantastic Beasts movie, with Gellert Grindelwald and Seraphina Picquery minifigures – plus, a Thestral figure with posable wings. Includes Gellert Grindelwald and Seraphina Picquery™ minifigures, plus a Thestral figure with posable wings. Features a buildable articulated carriage with opening doors and a removable roof.